Thanks to West Volusia Tourism for hosting my DeLand visit. As always, opinions and reviews are 100% mine and unbiased. DeLand, Florida is in West Volusia County, west of Daytona Beach and a hop, step, and jump from the central business district of Orlando. DeLand is a fun-filled city that has been one of my favorites in the state of Florida since moving South six years ago. Here, you will find a world-class skydiving facility, family-friendly attractions, amazing state parks and springs, plus an impressive food scene. 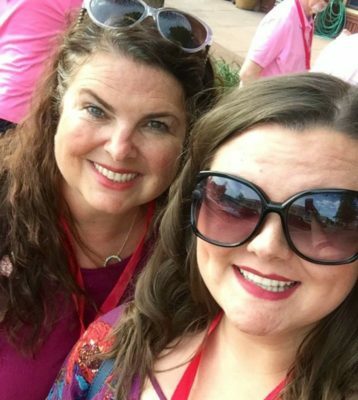 Check out these epic things to do in DeLand as tried by yours truly and my youngest daughter, Peyton. Skydive DeLand is terrific for first-timer skydivers, which is why you will always see newbies putting their trust in the experts staffed here. They also have a world-famous training and safety program. To participate in the tandem jump ($189 fee), sign up, complete some paperwork, watch a safety video, have a lesson with a pro, and prepare for the time of your life! On my visit, my daughter Peyton had her first jump and totally rocked it! For $90, Skydive DeLand will compile a video of your skydiving experience from start to finish, showcasing all the steps along the way. I felt very confident with her jumping somewhere that has such a stellar reputation, welcomes beginners to world champion jumpers, and has state-of-the-art equipment. At Skydive DeLand, jumping from the planes is the big draw, but watching is another. An onsite restaurant (offering delicious breakfast and lunch) by the airfield is where you can sit and watch jumpers get their hours in or feed their adrenaline junkie spirit through accelerated free falling or tandem jumps. Don’t be surprised to see people from many other countries any given day at Skydive DeLand. It is that popular. The De Leon Springs State Park is named after famous Spanish explorer Ponce de Leon, who sought the Fountain of Youth in the 1500s. The most popular attraction at the Park is dining at the Old Spanish Sugar Mill Restaurant, opened since 1961, where you make your pancakes at your table. The delicious all-you-can-eat pancakes are a mix of five fresh stoneground flours for only $5.25 per person. You can add toppings as you desire, such as blueberries, peanut butter, chocolate chips, sliced bananas, or pecans. Pair the pancakes with your favorite breakfast meats or eggs. Visit Smooth Waters Wildlife Center for an up close and personal look at gators, crocs, turtles, and other critters. This husband and wife owned zoo and crocodile park is involved in the preservation of endangered species and does a great job showcasing their property to visitors. I held a one-year-old gator and learned how to properly pet turtles. I didn’t even know their shells had feeling! The turtles liked being tickled on their shells and fed Romaine lettuce leaves, which Smooth Waters sells there. Besides seeing downtown DeLand on your own, an even better way is to let Larry of Great Tasting Tours show you around. On his two to three hour tour, you will sample brews and bites from local eateries and craft breweries, as well as learn some interesting facts about DeLand’s history. We even visited a couple of unique boutiques along the way and saw great art installments. On my tour, we tasted mussels and wings from Half Wall; sampled sangria, beer, and wine at Nest; drank Mead and ate quesadillas at Abbey; and drank beer from Persimmon Hollow Brewing. Great Tasting Tours offers three different tours: Sweet & Savory, Sip & Shop, and Brews & Browse. Each one is unique and is an excellent way to get adequately introduced to the town. Peyton and I loved it! Looking for a place to stay while visiting DeLand? The 1925 DeLand Hotel is a tremendous historical option. You will find attractive antiques and modern amenities in each unique hotel room, along with extra large bathrooms (some with claw foot tubs). The hotel offers a wine and beer reception each evening in the parlor, which also includes bottled water and coffee. A few shops and an Asian restaurant with lovely patio dining share an address with the DeLand Hotel, as well. I must add that the service is impeccable at the hotel. West Volusia is home to two popular state parks: Blue Springs and De Leon Springs. At Blue Springs State Park, a designated manatee refuge, explore 2,600 acres in a setting that is home to more than 200 manatees. Take a two-hour narrated river cruise and explore the largest spring on the St. John’s River and learn about the river’s history. The St. John’s River is unique in that it is one of the only rivers in the country that flows South to North. Keep your eyes peeled for birds, gators, fish, and gorgeous photo-ops. Other options at the park include canoeing, picnicking, and fishing. After your river cruise, head up to the 72-degree spring for swimming or a float. Aside from breakfast at the De Leon Springs State Park, the 625-acre state park offers camping, hiking, swimming in the 72-degree year-round spring, and a children’s playground area. The springs produce 19 million gallons of water a day, and there is a small museum devoted to the park’s historic ruins and educational information. Admission to the park is $6 per car. My favorite attraction in DeLand, and one of the best in the entire state, is the Stetson Mansion. This 150+ year-old restored mansion was originally the winter home of hatmaker John B. Stetson. The mansion has been named one of the top 10 things to do in Florida by Trip Advisor for several years now. It was Florida’s first luxury estate featuring gorgeous stained glass windows, 16 types of custom parquet floor patterns, and Edison electricity. The mansion is even the National Historic Register. Although you can visit all year long, I recommend visiting around Christmas to see the estate in its finest holiday attire. Schedule ahead through the Stetson Mansion website as the tours fill up quickly. Photo by Neal Smith Photography. A unique feature minutes from DeLand is the Cassadaga Spiritualist Camp. It is the most significant concentration of peaceful energy provided by mediums and psychics in the southern part of the country. The camp’s name is from Cassadaga Lake (in upstate New York). Wander around the small town and read the literature to help understand the concept found here. You can schedule appointments for a reading with the onsite psychics and mediums either at their homes/offices or via the cards and bulletin board at the camp. If a tour is available, sign up ,as the costumed interpreters do a great job telling about the history of the Three Sisters and how Cassadaga came to be. Most of the mediums and psychics live onsite and have gone through a lengthy training and certification to become members of the community. This is a great way to have a fun and informative reading, as well as gain insight to the spiritualist movement. On a side note: Have a tasty lunch at the Cassadaga Hotel’s restaurant, Sinatra’s, with tasty eats such as Fried Artichoke Hearts, Bruschetta, and classic Florida Smoked Fish Dip. After that, visit Horseshoe Park, an adorable park filled with fairies, sprites, and cool trinkets. You will also find a set of “Wings over DeLand”, a popular Instagram trend in West Volusia, by Erica Group in the park. This stand-alone set of wings is pastel colored and makes a great photo-op. The beautiful town of DeLand has an adorable Main Street, consequently voted as the Best Main Street in Florida for four years. Interesting murals (many dating from the 1990s) adorn the walls around town and are worthy of a look. My favorite is a sepia mural with chess players called “A Conversation Over Chess in 1929”. Several of the historic paintings depict early years the town and DeLand’s founder, Henry A. DeLand, as well as the importance of steam transportation in the area. Several different art installments, including the DeLand Sculpture Walk, are also in the area. You can download the MainStreet DeLand App to help find your way around the city. Don’t miss the exciting Farmer’s Market finds in Artisan Alley and nearby shops such as SO NY Market Trading Co, Muse Book Store, Groovy Records, and Scullery, as well as the original set of DeLand Wings, painted by local artist Erica Group. Capture your selfie in the wings and share your photo on Instagram using #wingsoverdeland. Be sure to check out Athens Theatre, the local historic venue for Broadway-style shows, concerts, and Stetson University events. DeLand has a couple of drink options you should won me over. For the beer lover, head over to Persimmon Hollow Brewing Co. or Half Wall Beer House for an extensive selection of upscale craft beers–76 to be exact. Half Wall is also a great place to grab a snack and watch your favorite sporting events. I prefer a flight of the “dark and stormy” which includes Young’s Double Chocolate Stout, Breckenridge Vanilla Porter, and Saltwater Sea Cow Milk Stout. At Persimmon, enjoy the relaxing and friendly atmosphere as you sip Daytona Dirty Blonde Ale, Beach Hippie IPA, or 3 Wise Guys Coffee Porter while playing a game of trivia or chatting with the locals. At Odd Elixir Meads, try the local meads (fermented honey wines) or boutique wines, paired with one of the best quesadillas you’ll ever have! The award-winning craft beer bar, Abbey Bar, also shares space in the Odd Elixir Meads bar. This establishment is a trifecta for great drinks. 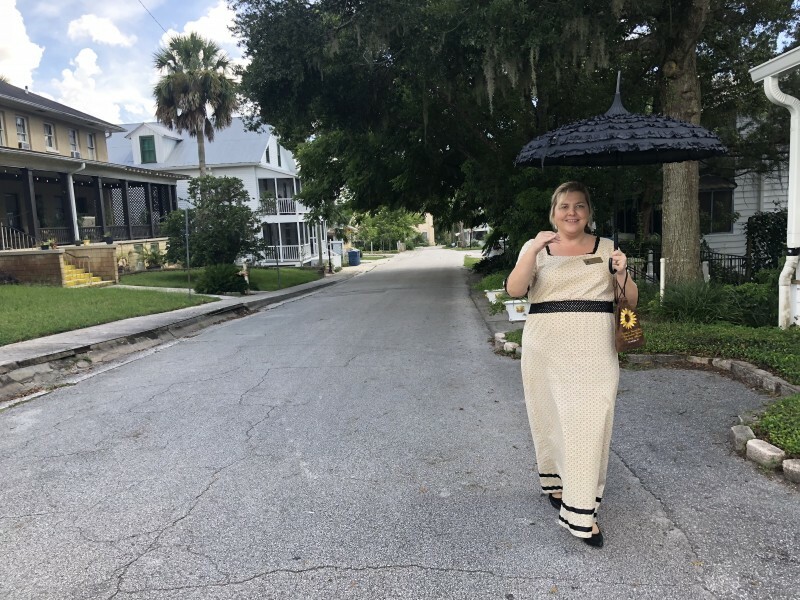 Since my first time visiting DeLand about six years ago, the small-town charm and big personality have been winning me over time and time again. From the cool street art to the friendly small businesses, smart eateries to the world-class attractions, DeLand is an epic place you need to add your travel radar soon. Cook your own pancakes? For 5 bucks? That sounds perfect. Interesting fact about the St. John’s River flowing south – a true testament to just how flat the land is in Florida. Sounds like there’s definitely something for everyone in this town! I have zero interest in skydiving, but those state parks sound like places I’d love to explore! And I’m all over that food and drink tour too!! The pancake place sounds fun, but I’m also puzzled by it – isn’t the point of going out to eat so that someone else does the cooking for you?! Lol!! Thanks for sharing. The downtown sounds lovely and I enjoy exploring quaint and unique downtowns, and then perhaps a stop at Half Wall Beer House! I don’t think that there’s anything more Florida that gators to me! You’ve got something for everyone in this post, I need to head to Florida! What a great small town find. I don’t know that I’m ready for skydiving, but if I were I would put my trust in the Skydive Deland crew. The Stetson Mansion looks amazing. No wonder it has made the Trip Advisor list so frequently. 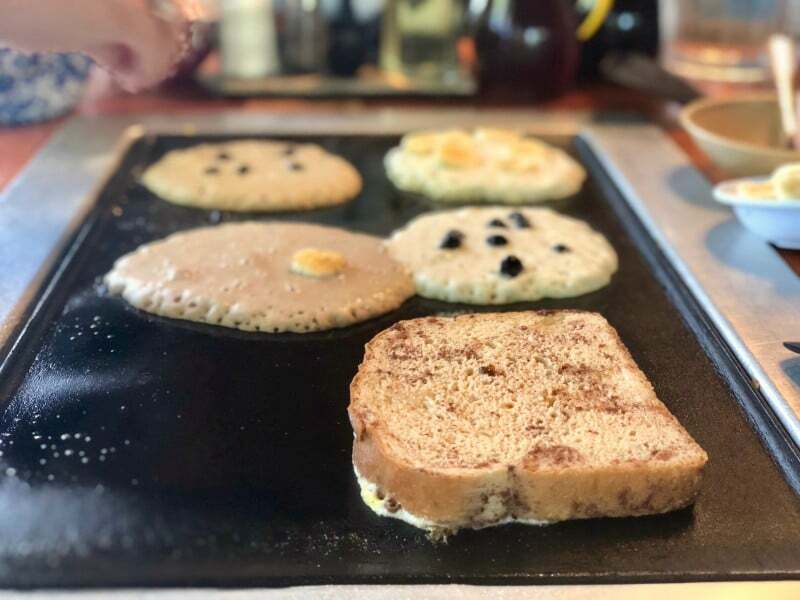 Our family would love to visit the state parks – especially with make your own pancakes at De Leon State Park. We made an east coast road trip from NY down to the Keys a few years ago, and really loved Florida. But somehow didn’t stop in DeLand, it’s crazy that you can get so many pancakes for less than $6/person! There is so much joy in this post! Awesome ideas and photos. Absolutely love the murals!